Airblock by Makeblock – BUILD IT. CODE IT. FLY IT. 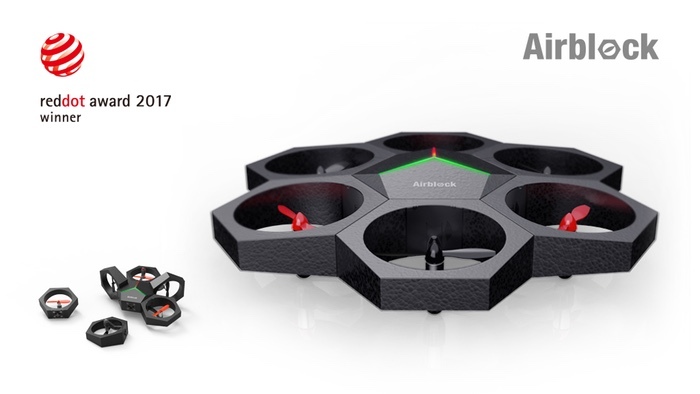 An educational Drone plus Hovercraft called Airblock, this is a Kickstarter project by Makeblock. Who secured $800+ K in funding from 5000 backers. Modular – Each individual parts are connectable through magnetic. Also, have a provision for detecting an incorrect connection. Programmable – Set of pre-programmed function and graphical interface can offer controlling drone at an ease. DIY – No need to use in one configuration, you can take parts apart and make a configuration of your own. Creat beyond your imagination. Battle, race and crash the soft and durable foam makes it kids friendly and indoor use! Programming could never be easier than this.